INDUSTRY.co.id - Jakarta - ESDM National Post Team Eid Idul Fitri Period Year 2018 will ensure the security of fuel stock (BBM) for travelers from May 31 to June 28, 2018 later. To meet the needs of BBM travelers traveling through the Java toll road, the ESDM National Post Team through PT Pertamina (Persero) and AKR Corporindo will add fuel services. Chairman of ESDM National Command Center Fanshurullah Asa said, to face the needs during the Eid al-Fitr this year, Pertamina and AKR Corporindo will add fuel services for travelers. "The additional services include setting up SPBU / SPBKB to operate longer on the main route of homecoming and tourist areas. Another service is providing serambi, kiosk, motor service and bags of fuel," said Chairman of ESDM National Post Fanshurullah Asa some time then. In addition to the operation of gas stations, Pertamina will add other services on the island of Sumatra and Java, which is 13 units of Serambi Pertamax, Kiosk Pertamax as many as 60 units, Motoris Packaging up to 200 units, 105 units of fuel bags, and 16 units of Car Dispenser. AKR Corporindo will optimize SPBKB services in Central Java and East Java area of ​​7 SPBKB and add 3 Kiosk Packaging service units, 2 Kiosk in Central Java and 1 Kiosk in East Java. 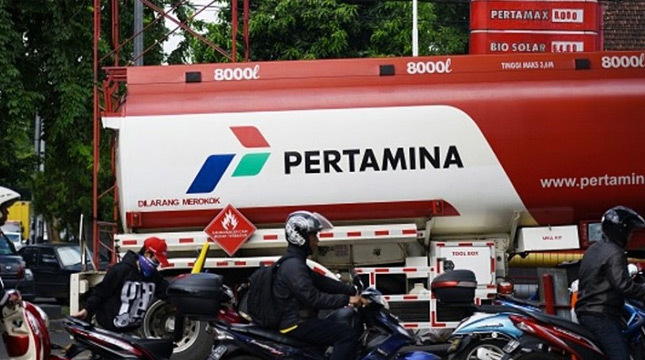 "We have also instructed Pertamina to provide Premium at all gas stations on toll roads, main roads (non toll roads), as well as public transport lines, and crowded lanes," Fanshurullah added. In line with that, Director General of Oil and Gas at the Ministry of Energy and Mineral Resources Djoko Siswanto said that Premium fuel will also be available at 571 gas stations in Java, Madura and Bali (Jamali) before Lebaran 2018. Currently, the revision of Presidential Regulation No. 191 of 2014 on the Supply, Distribution and Retail Price of Oil Retail, which requires Pertamina to supply BBM to Jamali Region, is signed by President Joko Widodo. Once the rules are set, then as many as 571 gas stations in Jamali can be directly filled Premium. "Once the Presidential Decree is signed, the next day can be changed with Premium in the 571 tank (gas station)," said Djoko. It is hoped that the regulation can be immediately signed so Premium can be enjoyed by the community before Eid al-Fitr in June.